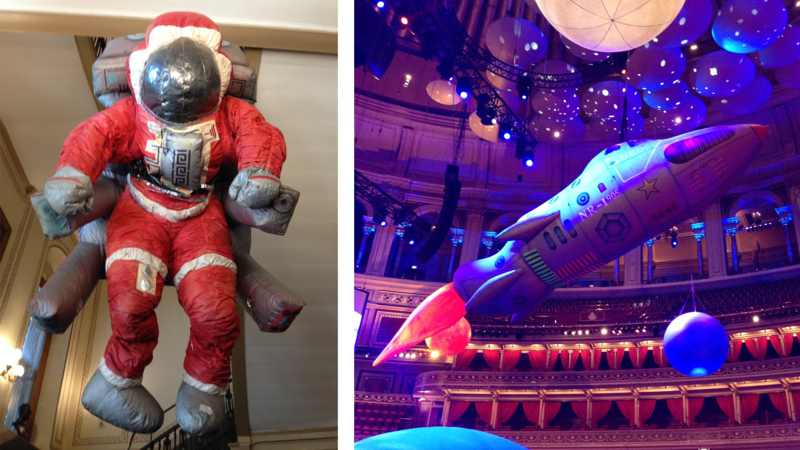 Minilab’s Big Space Day at the Royal Albert Hall! Space Month at Minilab launched with a bang at the Big Space Day on May 6th. Over 2000 people flocked to the dramatic venue, the Royal Albert Hall! And we had a prime position in the stalls to see all of the amazing goings-on, while kids tried out our astronomy-based app, Astro Cat’s Solar System. We got to the hall for set-up and were blown away by the incredible space. Entering the building, we were immediately greeted by the gigantic astronaut below left! And that was just the beginning: as you descended the stairs into the auditorium and looked up, it was like being whisked away to another world (literally). 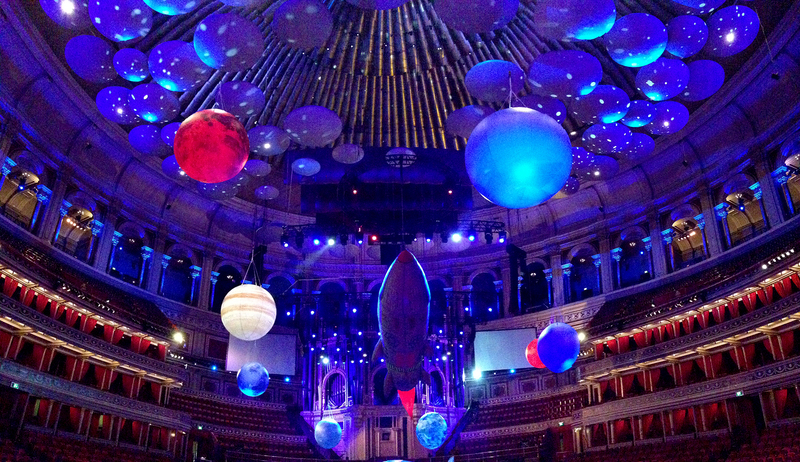 Huge balloon planets hung serenely from a ceiling full of stars. We watched as the planetarium went up in a matter of minutes, and robots began to appear left, right and centre. Fellow exhibitors included the Science Museum, Mission X and National Centre for Earth Observation. There was plenty to do for the thousands of future scientists, explorers and learners once they began to arrive. 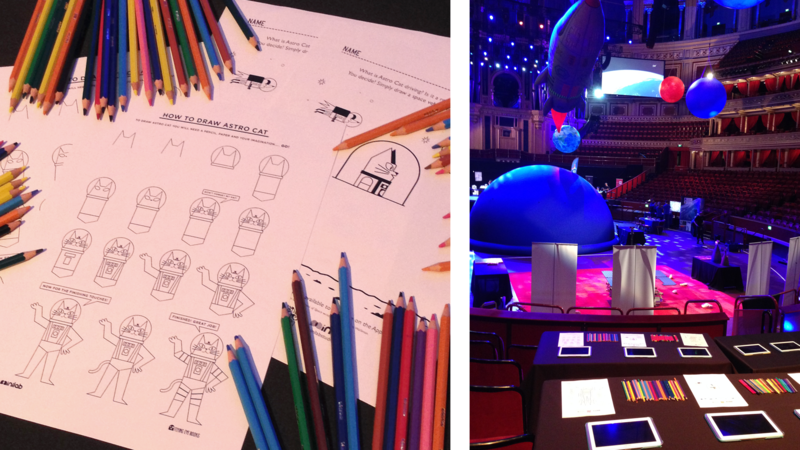 From colouring to competitions, and trying on a space suit to simulating exercise in space, there was a lot to learn. We even got to meet ‘Bruno’, a prototype Mars rover who was able to manoeuvre smoothly over rocky surfaces and record the world around it. And as for Minilab? We offered a chill out space for kids and parents alike, with the added bonus of some educational gaming. The Astro Cat Space Programme had hundreds of new recruits by the end of the day. And some of them even took the time to complete their entire rocket – that’s almost an hour of gameplay! It was so exciting to see the scientists of the future trying out new things and growing their scientific wings. We’d like to say thank you to the Royal Albert Hall for inviting us to the inaugural event. We (and the Prof. of course) had a blast! You can see more photos from the event on the Royal Albert Hall’s news blog.